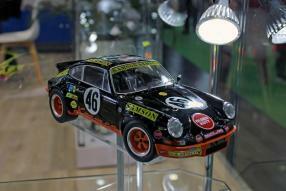 The French from Solido present the following novelties in scale 1:43 for 2019: BMW M3 E30, Renault Dauphine 1961, Citroën DS 19 Break, Renault 6 1970 white, Alpine A110 1973 blue, Lancia Fulvia Fanalone, Mercedes-Benz 230 SL 1963 blue and 500 SL 1989 silver, Renault 11 Turbo blue, Citroen AX Kway series, VW 181 1971, Renault 17 1974 green. 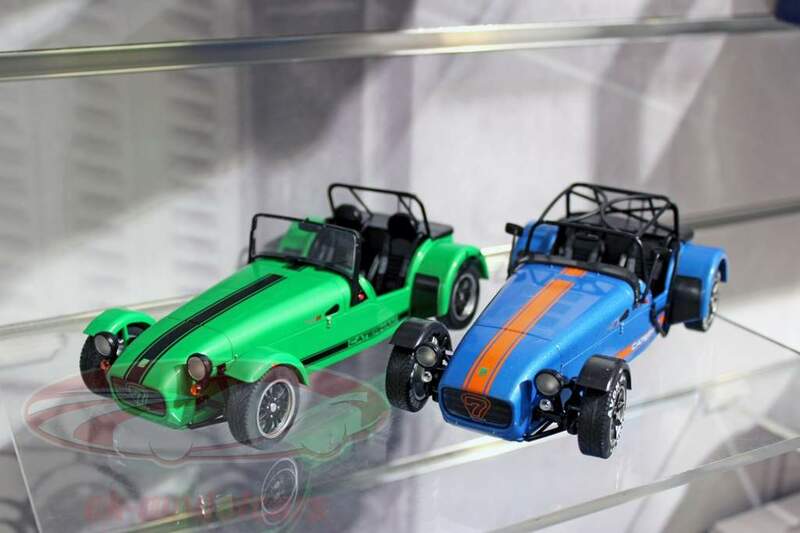 The range of diecast modelcars in scale 1:18 is there larger and in places very interesting: Alfa GTV6 1984, Porsche 356 pre-A 1953, Caterham Seven 275R, 2014 Caterham Academy, Meyers Manx Buggy 1970, Mercedes-Benz 190E Evo 2 DTM and black, BMW E30 DTM 1989, Renault 4LF 1975, Peugeot 205 GTI MK1 1985, Peugeot 205 Rallye 1987 and 1989, Alpine A310 Pack GT, Renault 5 Turbo no. 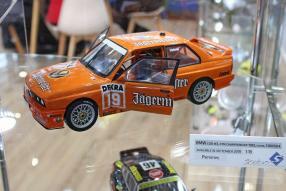 5 Alain Prost as well as new Lancia Delta S4 1986. 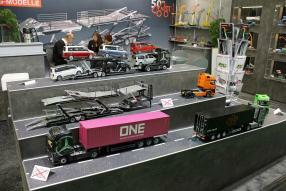 The pallet is supplemented by miniatures of the Citroën HY 1969, the D Speciale and 2CV6 Vache 1986. Further novelties are: AC Cobra 427 MK II purple, Porsche 911 RSR 1973, Steyr Puch 500, VW Beetle Sport yellow, Renault 4L Jogging 1981 and the Citroën Dyane yellow. 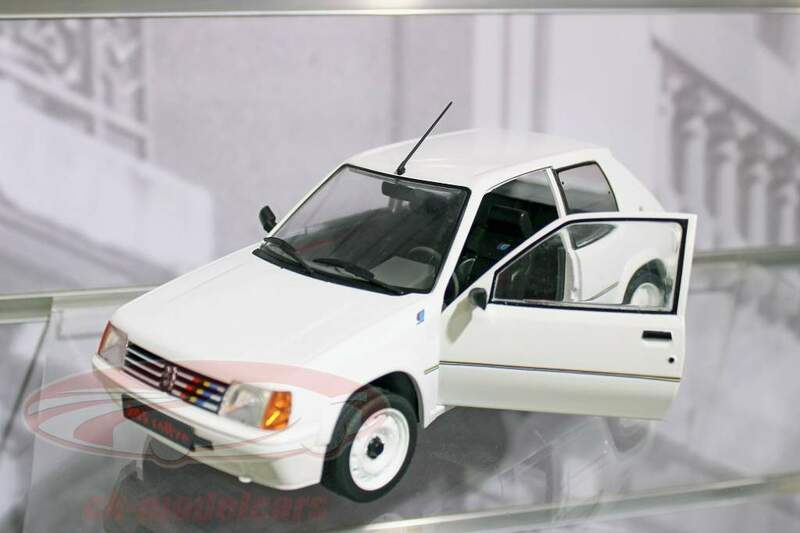 We caught a glimpse of the VW Golf L 1983 in scale 1:18 in beautiful blue 1983 and the Citroën Traction 11B. 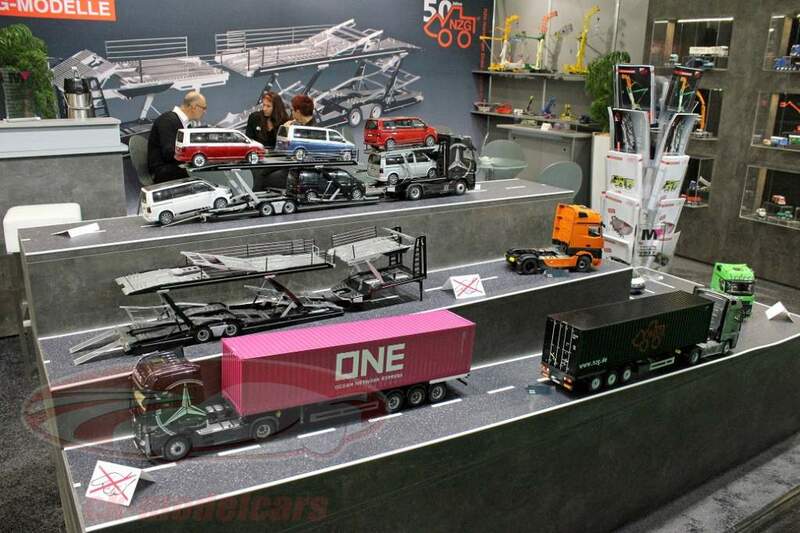 At the trade fair stand of the NZG label, which is well-known for commercial vehicles, everything is focused on the "Car transporter" semitrailer: ten months of development time were needed to develop the trailer with a height of 22.5 centimeters and a width of 13.7. The 1:18 scale model consists of over 500 individual parts, including 80 plastic, 167 zinc and 32 etched parts as well as 225 screws, pins and tools. 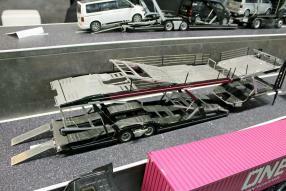 The vehicle platforms and the loading ramps for the lower and upper levels are made of high-quality metal - including the characteristic hole structure. All original moving parts can be also used on the model. 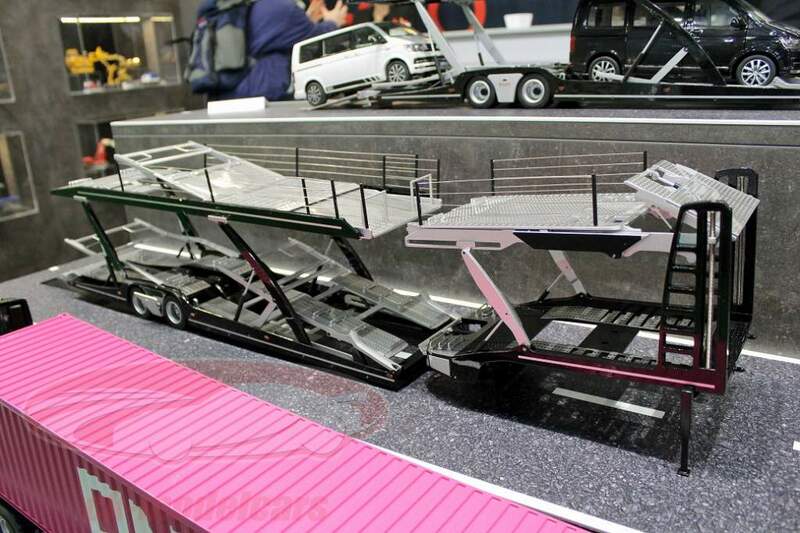 Even the control levers for the ramps and at the central axis are reproduced true to detail and protected by movable cover flaps. 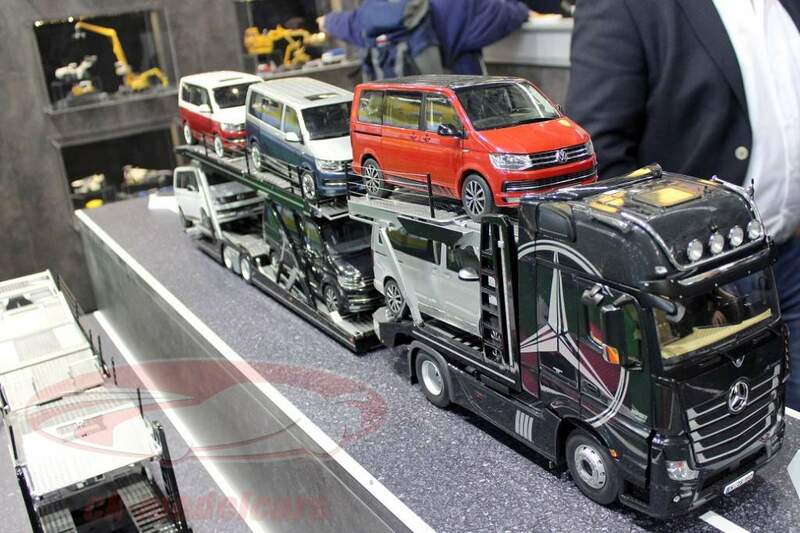 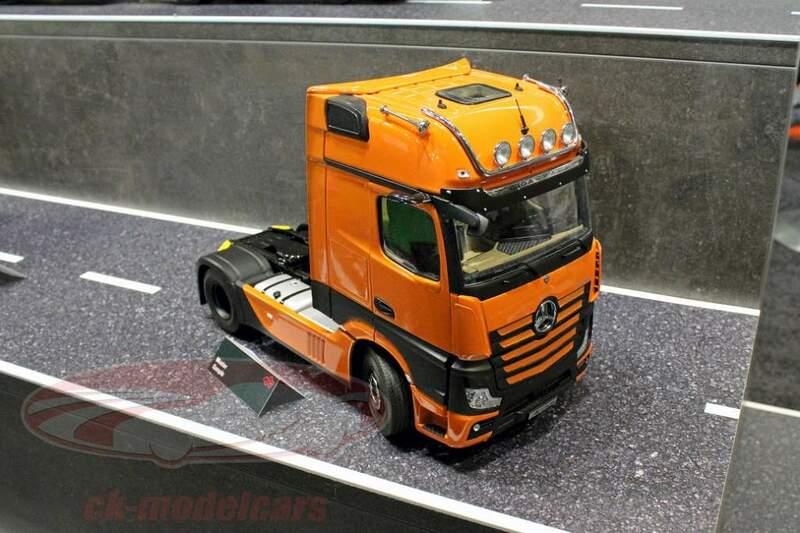 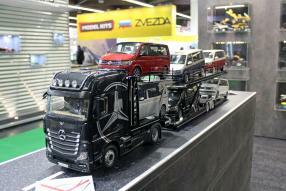 The elaborately made Diecast model is well complemented by the Actros tractor with the latest features of the prototype. 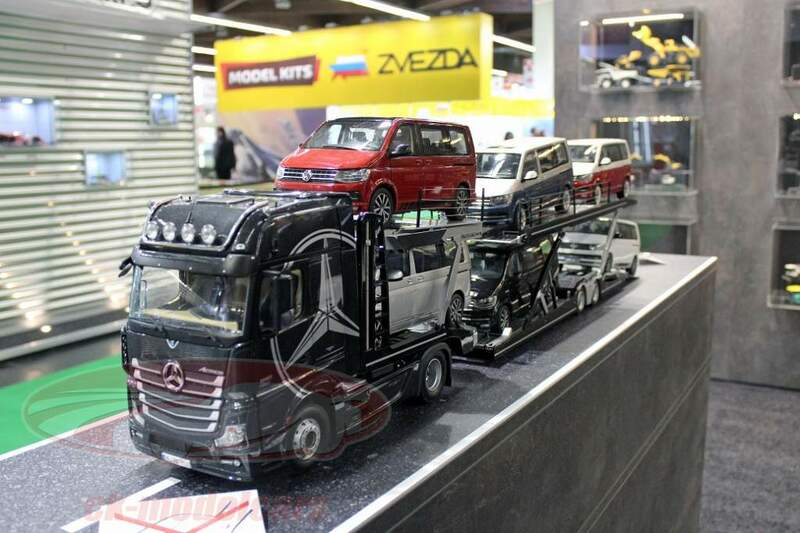 The Actros has a tilting driver's cab, interior lighting, the lighting of the Mercedes-Benz star in the grill and an excellently reproduced engine.